Hear the story of how Diageo became one of the most engaged enterprise networks in the world. From identifying obsolete stock opportunities to sharing stories about how Alia, an archivist at Diageo, uses Yammer to share powerful brand stories from the past to influence products today. 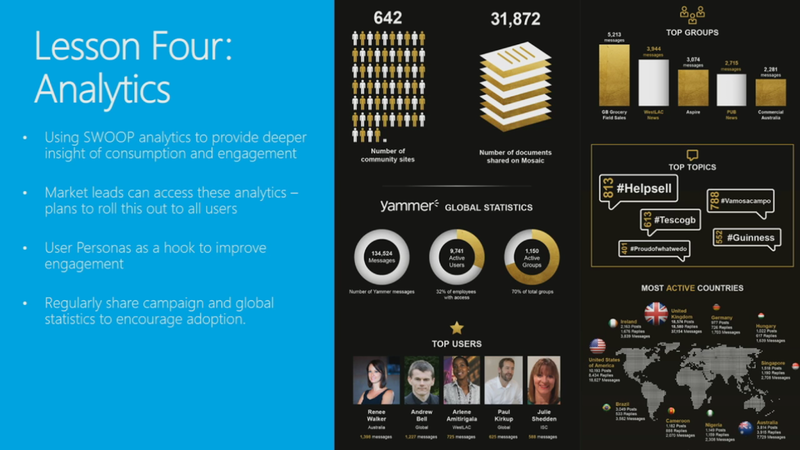 Diageo and their Adoption Partner, WM, show us how they created, nurture and analyze this world-class Yammer network. This was mostly the two presenters waxing nostalgic on their favorite Yammer campaigns. 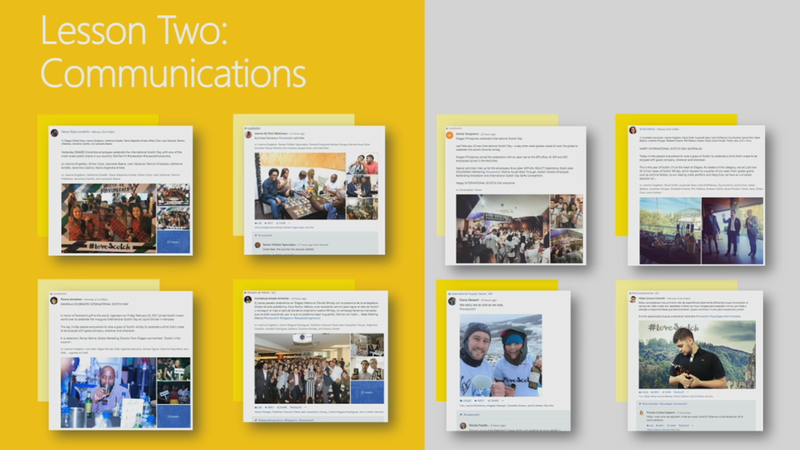 They did provide four really good slides on how to set yourself for success with Yammer. Yammer, in the case of the two examples given, was used in a unique way to solve a business problem–how to sell surplus booze, in one example–w/o designing and building some complex solution. Yammer was leveraged to rapidly solve these problems. 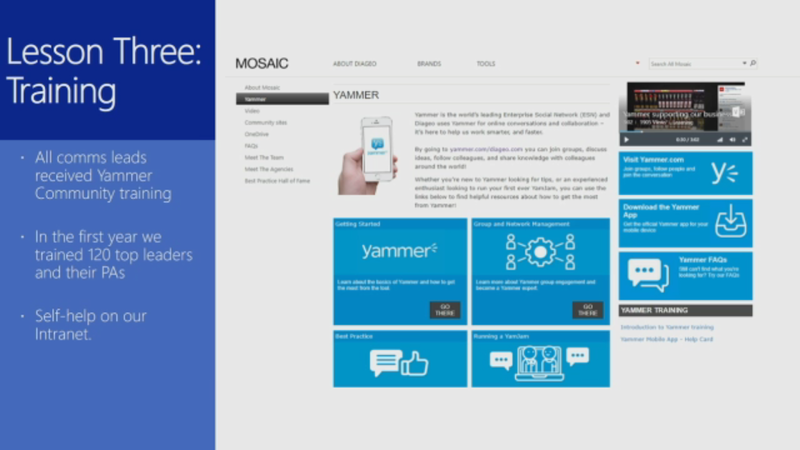 So Yammer is more than enterprise FaceBook.